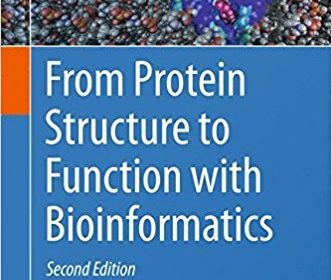 This book is about protein structural bioinformatics and how it can help understand and predict protein function. It covers structure-based methods that can assign and explain protein function based on overall folds, characteristics of protein surfaces, occurrence of small 3D motifs, protein-protein interactions and on dynamic properties. Such methods help extract maximum value from new experimental structures, but can often be applied to protein models. The book also, therefore, provides comprehensive coverage of methods for predicting or inferring protein structure, covering all structural classes from globular proteins and their membrane-resident counterparts to amyloid structures and intrinsically disordered proteins. The book is split into two broad sections, the first covering methods to generate or infer protein structure, the second dealing with structure-based function annotation. Each chapter is written by world experts in the field. The first section covers methods ranging from traditional homology modelling and fold recognition to fragment-based ab initiomethods, and includes a chapter, new for the second edition, on structure prediction using evolutionary covariance. Membrane proteins and intrinsically disordered proteins are each assigned chapters, while two new chapters deal with amyloid structures and means to predict modes of protein-protein interaction. The second section includes chapters covering functional diversity within protein folds and means to assign function based on surface properties and recurring motifs. Further chapters cover the key roles of protein dynamics in protein function and use of automated servers for function inference. The book concludes with two chapters covering case studies of structure prediction, based respectively on crystal structures and protein models, providing numerous examples of real-world usage of the methods mentioned previously. This book is targeted at postgraduate students and academic researchers. It is most obviously of interest to protein bioinformaticians and structural biologists, but should also serve as a guide to biologists more broadly by highlighting the insights that structural bioinformatics can provide into proteins of their interest.